LoaderMax, XMLLoader,ImageLoader are pretty awesome class that can save you a lot of time.The part2 tutorial we are going to make a Simple Photo Viewer with those classes.You can download the latest version of the classes here. Open Main1.fla save as "Main2.fla". 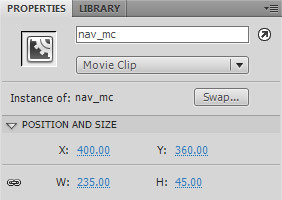 Rename the layer called "nav_mc".Drag 8 btn_mc instances on the stage from the library panel.Resize them 50% in the transform panel.Make it a movieclip symbol and call it "nav_mc".Set a Instance name "nav_mc" and x:400,y:360 in the Properties panel. Create two more layers. 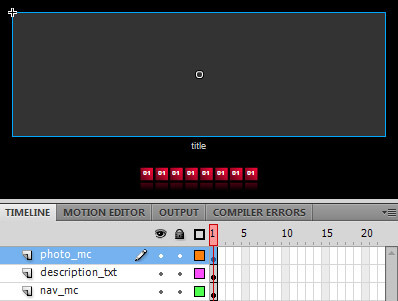 Name them: "description_txt" and "photo_mc". 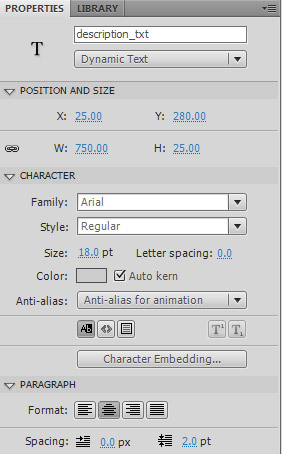 Create a dynamic text.Select the dynamic text in the description_txt layer.Set a Instance name "description_txt" and x:25,y:280 in the Properties panel. Create a gray(#333333) primitive rectangle 750×250 px and with no stroke. 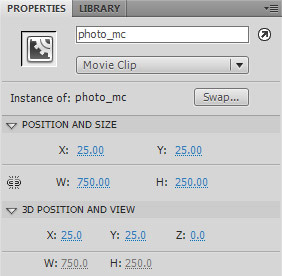 Make it a movieclip symbol and call it "photo_mc".Set a Instance name "photo_mc" and x:25,y:25 in the Properties panel. Crop 8 images and save them in the "pictures" folder. XML file will be loaded by XMLLoader; this file will contain all information about images such as URL of the image, and description. 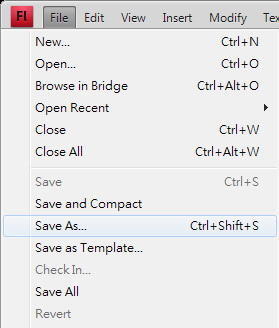 Save and name it "imagelist.xml" with Main2.fla. 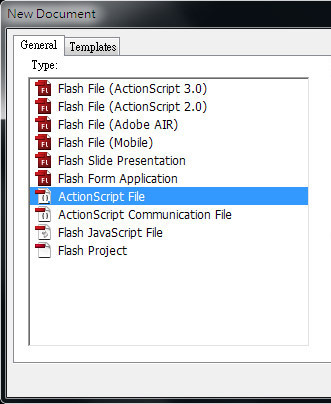 Inside Flash IDE set Main2.as as your Document class. 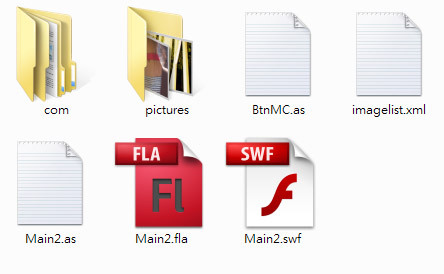 Name it "Main2.as", save it in the same folder as your Main2.fla. 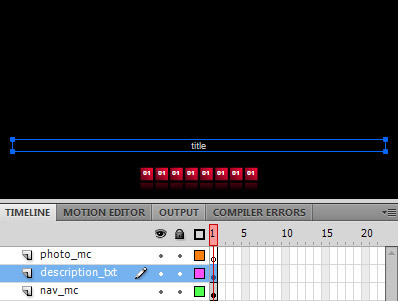 The constructor is a function that runs when an object is created from a class. //new XMLLoader instance and load imagelist.xml,when it complete execute completeHandler(). 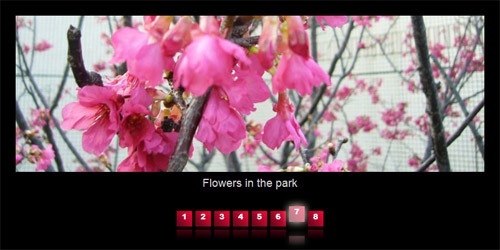 When you click button load image,it will create a new ImageLoader instance. //first time it will remove the gray rectangle,after that when new photo load,the previous photo will be removed to free memory. 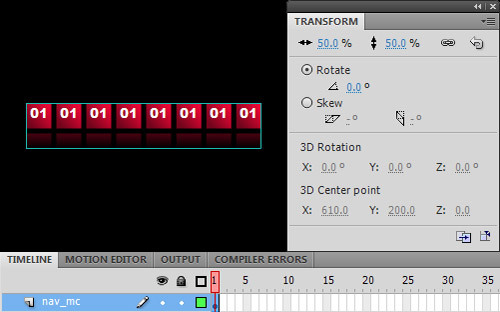 Thanks for reading!Now we finish the part2 tutorial.Please feel free to drop a note for any comments, concerns, or suggestions.Here is cs4 and cs3 versions up on the zip file. Thanks for the response Max8371!